Asian lady beetles, a species of ladybug, are overwintering pests. This means they will invade homes and structures in the winter to avoid the cold and emerge in the spring when temperatures increase. All ladybugs have some benefits, as they will eat aphids, mites, and other small insects that can feed on and damage crops. But unlike other ladybugs, Asian lady beetles are an invasive species that can produce a strong odor and secrete a liquid that can stain. They can be especially bothersome in large groups, as they populate very quickly. 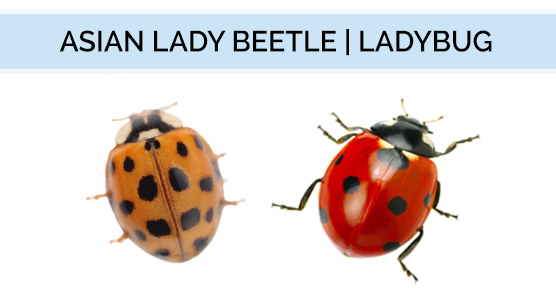 Read the rest of this guide to learn how Asian lady beetles and ladybugs differ in appearance. If you believe you have Asian lady beetles, read our Asian lady beetle treatment guide for more information. Ladybugs of all species, including Asian lady beetles, are small, usually 0.3 to 0.7 inches long. Asian lady beetles and other ladybugs are round or elliptical. They have antennae, 6 legs, and wings. 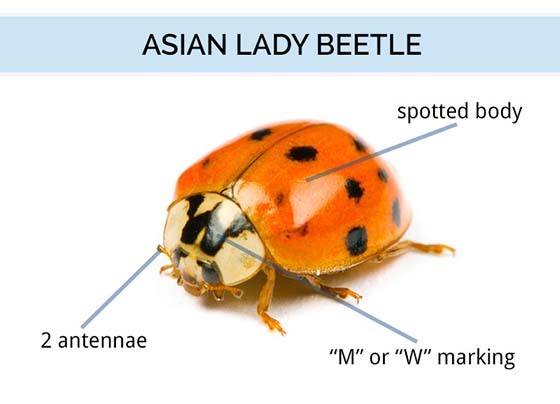 Asian lady beetles have white "cheeks" and an "m" or "w" marking on their heads. Other species of ladybugs may have white spots on their heads, but they are not as large as those on the Asian lady beetle. Ladybugs are typically red but can also be yellow or orange. 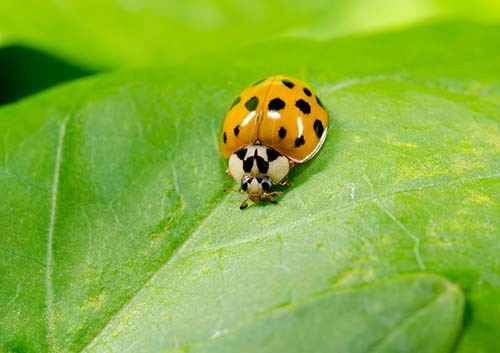 Ladybugs most often have black spots on their backs but can also have stripes or no markings. They have black heads. Asian lady beetles and all other ladybug species can be found across the United States. 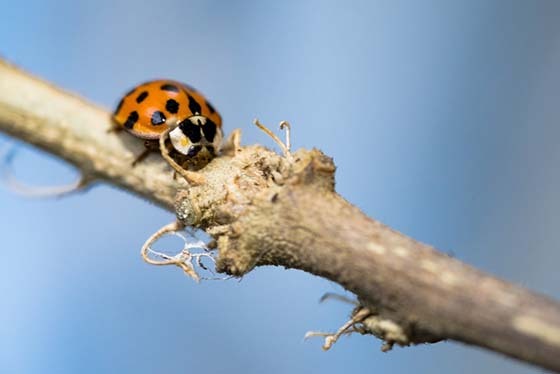 If you have spotted Asian lady beetles in your home, read our guide on where Asian lady beetles hide to learn where others may be found. Click the right arrow below to read more. 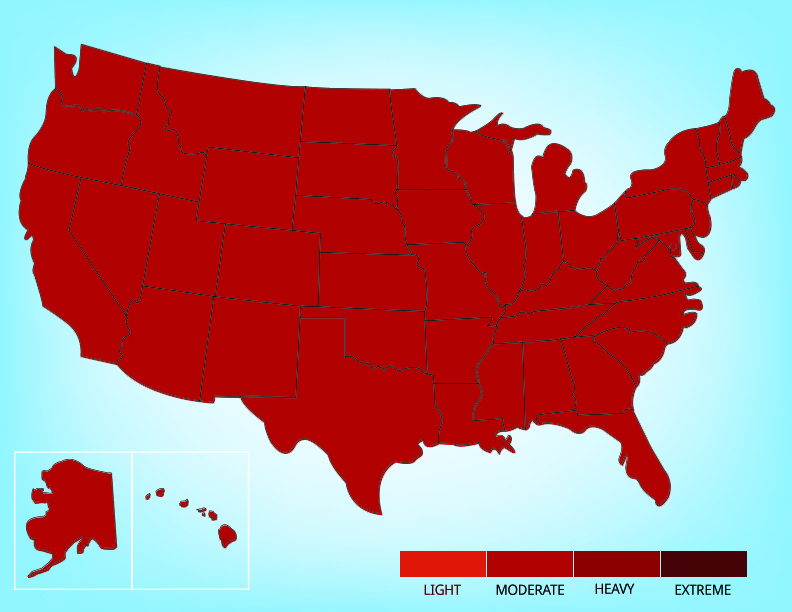 8 of 10 people found this article informative and helpful.